Luminous Zelio 110 va is India’s most intelligent sine wave home UPS with features such as Power back up time display in hours & minutes, hassle free water level maintenance, MCB protection. The combo comes with 150 Ah tall tubular batteries which is ideal solution for 2 BHK home. It is the bestselling combo of Luminous across all Indian Cities. 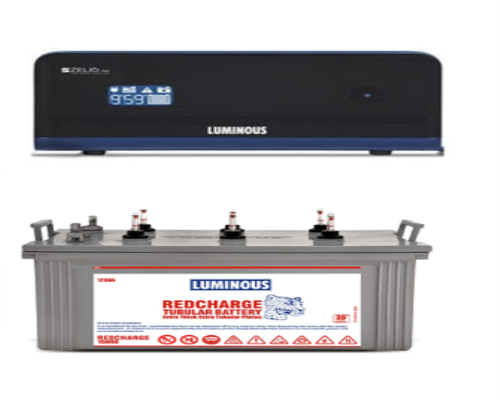 It is teamed up with the wonderful luminous RC15000 120ah tubular battery and cabinet trolley to make it a great utility combo.